I have one. It's black. My 870 was black but was always rusting. I had it Cerakoted "sniper gray". My 870 has a big scratch on the right side receiver from a transportation accident involving my SKS! Remember kids, gun cases protect from scratches...I learned my lesson! (09-12-2012, 07:18 AM)RocketFoot Wrote: My 870 has a big scratch on the right side receiver from a transportation accident involving my SKS! Remember kids, gun cases protect from scratches...I learned my lesson! Maybe some nail polish? Duracoat? You can get creative and tattoo the scratch. I had an 870 Express Magnum but lost it to a crooked storage unit owner. 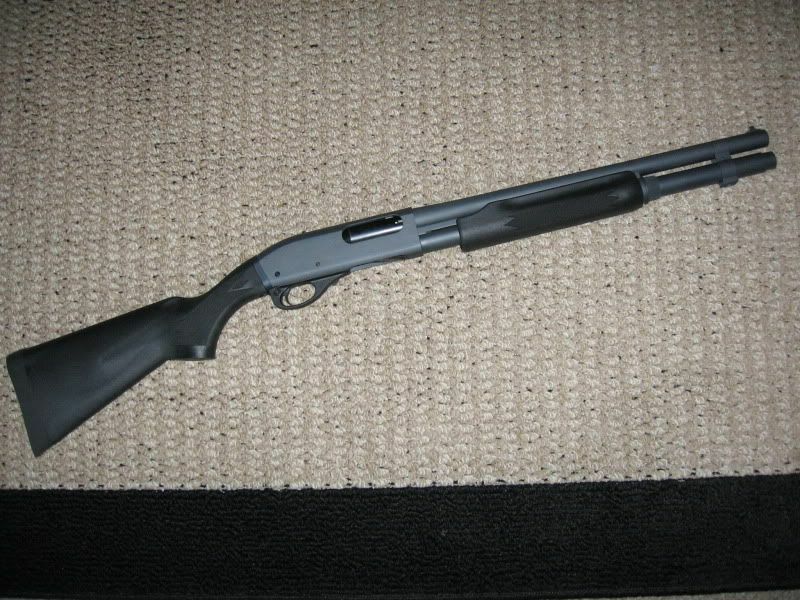 Anyway, I picked up a replacement 870 a couple of months ago. 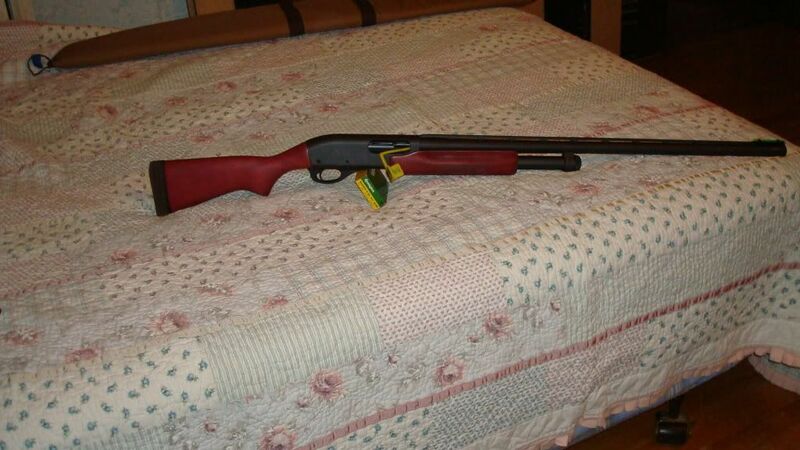 It's a pre-'68 Wingmaster that the PA State Police traded in. It came with the short barrel and rifle sights. It's got some dings and wear but the action is slicker than snot on glass. The bore isn't just shiney, it looks like it was silver plated and polished. It is mirror shiney. I have my Mossberg 590 that's had some nifty bits added (a 6 round side saddle shell carrier, Speedfeed stock that holds 4 spare rounds, a bright fiber optic front sight and an M9 bayonet.) I plan on keeping the 870 as it sits. It's got plenty of character and you can't help but wonder what it had seen in it's 40+ years of service. I want one, but with a pistol grip. Looks like it would be a ton of fun to shoot. I'm intellectually justifying as "the shorter overall length makes it easy to carry in a SHTF situation". I've got my mossy 930 spx, but need a pump as backup. crlovel;1779 Wrote: I have one. It's black. Me too, Chris! Except you call mine a "riot gun" because it's a 20" barrel. Busts those clays though, don't it?